ensuing society due to economic problems. The opposing actors who acted with Islamic sensitivities played a key role in the formation of a social and political movement that was effective at the end of the Bourguiba period.In this context, the study will examine the effects of the radical reforms and the economic crisis of Bourguiba period on the birth and the politicization of the Islamic movement in Tunisia. Bu çalışma bağımsızlığın ardından Tunus’ta bir tek adam rejimi kuran Habib Burgiba dönemindeki gelişmeler üzerinden İslamcı hareketin doğuşunu incelemektedir. Tunus için ilerleme ve kalkınmanın ancak Batı’ya özgü yöntem ve değerleri takip etmekle mümkün olduğuna inanan Burgiba, ülkenin yüzyıllara dayanan Arap-Müslüman kültürü ile olan bağlarını tamamen koparmaya dönük adımlar atmıştır. Bu süreçte, devletin din üzerinde mutlak bir kontrol sağlaması amacıyla laiklik otoriter bir anlayışla yeniden yorumlanmıştır. Bununla birlikte, Burgiba tarafından halka tepeden dayatılan radikal sekülerleşme reformları ekonomik sorunlardan bunalan toplumda kabul görmemiştir. İslami duyarlılıklarla harekete geçen muhalif aktörler Burgiba döneminin sona ermesinde etkili olan toplumsal ve siyasal bir hareketin oluşmasında kilit rol oynamıştır. Bu bağlamda, çalışmada Tunus’ta İslami hareketin doğuşu ve siyasallaşma sürecinde Burgiba’nın hayata geçirdiği radikal reformların ve ekonomik krizin etkileri incelenecektir. Alaya Allani, The Islamists in Tunisia between confrontation and participation: 1980-2008. The Journal of North African Studies, Cilt 14, No 2, 2009, s. 257-272. Anne Wolf, “An Islamist ‘renaissance’? Religion and politics in post-revolutionary Tunisia”, The Journal of North African Studies, Cilt 18, No 4, 2013, s. 560-573. Azzam Tamimi, Rachid Ghannouchi: A democrat within Islamism, New York, Oxford University Press, 2001. Bruce Maddy-Weitzman, “The Islamic challenge in North Africa”, B. Maddy-Weitzman ve E. Inbar (Ed.). Religious radicalism in the greater Middle East, London, Frank Cass, 1997, s. 171-188. Charles A. Michaud, Tunisia: The Politics of Modernization, New York, F. A. Preager, 1964. Clement H. Moore, Tunisia Since Independance: Dynamics of One-party Government. Berkeley, University of California Press, 1965. David Seddon, "Winter of Disconte~t: Economic Crisis in Tunisia and Morocco,"" MENP Reports, Vol. 14, No, 8, October 1984. Derek Hopwood, Habib Bourguiba of Tunisia: The Tragedy of Longevity, Houndmills, Macmillan Press, 1992. Dirk Vandewalle, “From the New State to the New Era: Toward a Second Republic in Tunisia”, Middle East Journal. Cilt 42, No 4, 1988, s. 602-620. Driss Abbassi, “La conception de l’histoire selon Bourguiba”, Habib Bourguiba et l’établissement de l’Etat national 1957-1987: approches scientifiques du bourguibisme, Zaghouan, Publications F.T.R.S.I., 2000, s. 21-30. Emma Murphy, “Ten years on Ben Ali’s Tunisia”, Mediterranean Politics, Cilt 2, No 3, 1997, s. 114-122. François Burgat, L'Islamisme au Maghreb: la voix du sud. Paris, Karthala, 1988. Fred Halliday, “Tunisia’s Uncertain Future” Middle East Report, 163, s. North Africa Faces the 1990’s, 1990, s. 25-28. Gizachew Tiruneh, “Democratic development in Botswana and Tunisia: A comparative analysis”, Journal of Contemporary African Studies, Cilt 22, No 1, 2004, s. 13-28. Habib Bourguiba, Discours (1960–61). Vol. 8. Tunis, Secrétariat d’État à l’information, 1976. Habib Boulares, Islam: The Fear and the Hope, London, Zed Books, 1990, Jacob Abadi, Tunisia since the Arab Conquest: The Saga of a Westernized Muslim State. Cornwall, Ithaca Press, 2013. John Esposito, The Islamic Threat : Myth or Reality, New York, Oxford University Press, 1995. John Esposito, ve J. Piscatori., “Democratization and Islam”, The Middle East Journal, Cilt 45, No 3, 1991, s. 427-440. John Esposito ve J. Voll, Makers of contemporary Islam, New York, Oxford University Press, 2001. Kenneth J. Perkins, A History of Modern Tunisia, Cambridge, Cambridge University Press, 2014. Stephen King, Liberalization Against Democracy: The Local Politics of Economic Reform in Tunisia, Bloomington, Indiana University Press, 2003. Le Monde, “Ils veulent devenir des héros”, 16 Eylül 1987. Lisa Anderson, The state and social transformation in Tunisia and Libya: 1830-1980. Princeton, Princeton University Press, 1987. L. B. Ware, “Ben Ali’s constitutional coup in Tunisia”, The Middle East Journal, Cilt 42, No 4, 1988, s. 587-601. Marion Boulby, “The Islamic Challenge: Tunisia since Independence”, Third World Quarterly, Cilt 10, No 2, 1988, s. 590-614. Micheal C. Dunn, “The Al-Nahda Movement in Tunisia: From Renaissance to Revolution”, Islamism and Secularism in North Africa, John Reuedy (Ed. ), London, Macmillan, 1994, s. 149-165. Micheal Willis, Politics and Power in The Maghreb: Algeria, Tunisia and Morocco from Independance to the Arab Spring. London: Hurst&Co., 2012. Michel Camau, Tunisie au present: une modernite au-dessus de tout soupçon? Paris, Editions du CNRS, 1987. Mohamed Hamdi, The Politicization of Islam: A Case Study of Tunisia. Boulder, Colo: Westview Press, 1998. Mohammed Sofi, “Modernization and Secularization in the Post-Independant Tunisia: An Analysis of Burguiba’s reforms”. Hamdard Islamicus. April-June, No 2. 2015, s. 7-38. Mohsen Toumi, La Tunisie de Bourguiba à Ben Ali, Paris, Presses Universitaires de France, 1989. 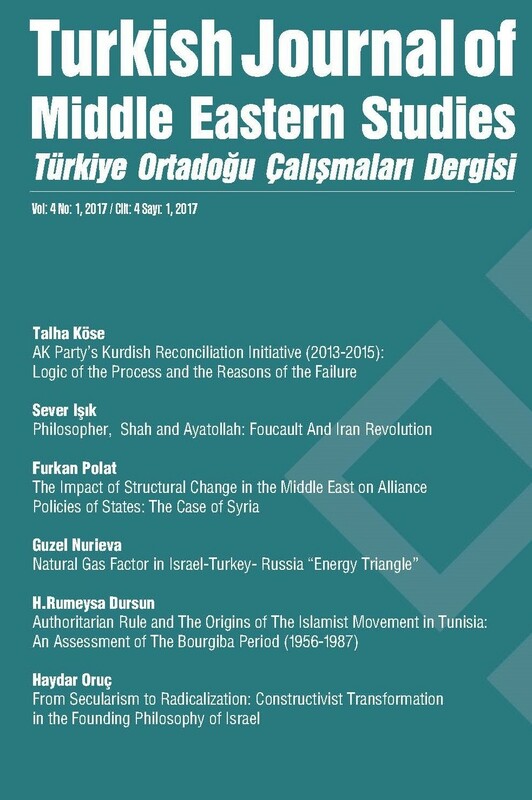 Raşid Gannuşi, “Secularism in the Arab Maghreb”, Islam and Secularism in the Middle East Azzam Tamimi ve John Esposito (Ed. ), New York, NYU Press, 2000, s. 97-124. Rory McCarthy, “Re-thinking secularism in post-independence Tunisia” The Journal of North African Studies, Cilt 9, No 5, 2014, s. 733-750. Yadh B. Achour, “Politique et Religion en Tunisie”. Confluences Méditerranée. 33, 2000, 95-106.